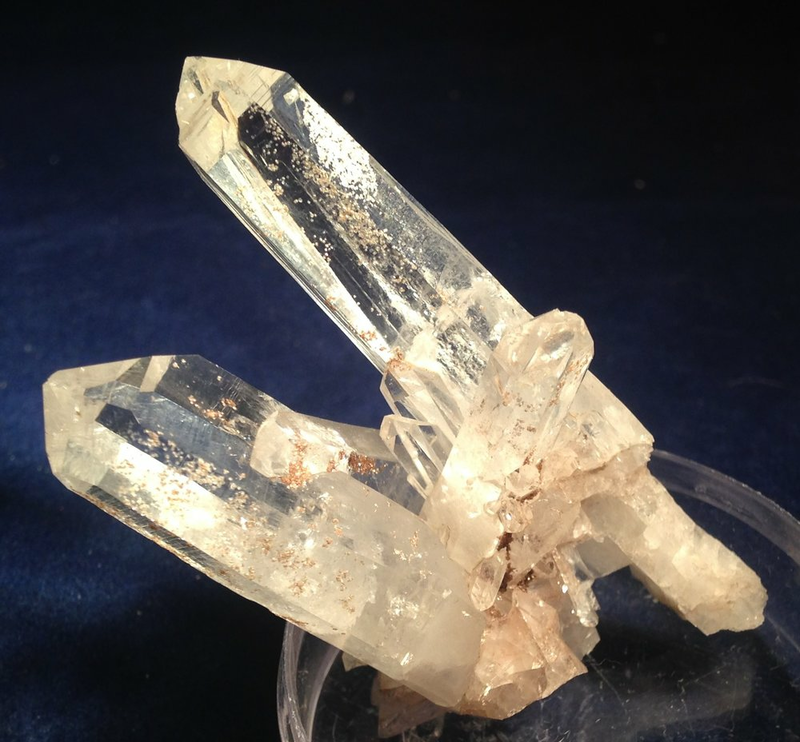 Selenite is mother nature's own fiber optic material - light passes through rather than bounces off. It is a form of gypsum - a common building material. Selenite is the ultimate cleanser. It can align the chakras and gives the practitioner a better "starting point" in working with clients for massage, healing, reading, etc. The more opaque common version is from Madagascar. That is the spheres, candle holders, other carved forms that you will see. It is a great tool for cleansing. The slabs that I feature come from New Mexico and are great for cleansing your stones that need it. It is very clear and attractive so that one can "house" their stones on them for continual cleaning or rotate stones on and off as needed. Please contact me for questions, more photos, and/or to check availability at phatrocks@ymail.com.